Liam has joined the team as an administrator and bring with him a variety of experience. Having graduated with his diploma in Rail Engineering, Liam brings with him a fountain of knowledge. 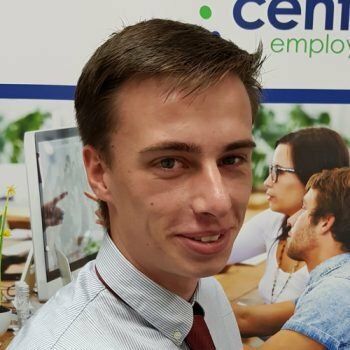 Liam is an avid learner who is efficient and accurate in any tasks he undertakes with a passion to establish a long lasting and meaningful career, and we hope that that will continue to be here at Central Employment. Liam’s hobbies include socialising with friends and attending various music events with a love of a bit of Drum n’ bass.